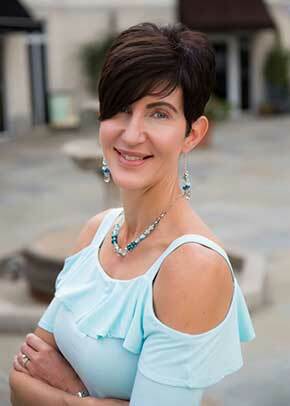 New Life Aesthetics is owned and operated by Meredith Harris, NP. As an entrepreneur, Meredith has been the founding provider of several successful aesthetic practices in Florida and North Carolina. After years of working to bring success to other practice owners, the concept and dream of New Life became a reality in December 2014. We seek to provide the premier experience for each and every guest, from the very first touch-point. The phone call, the friendly greeting in our office, the personalized consultation, the thorough education, gentle touch, and follow-up with Meredith are what set your experience at New Life Aesthetics apart from any other. "I had my first appointment with Meredith last month (May 2017) and she done her evaluation and explained in detail where and why I needed Botox® in those particular areas. In the past, I have told the technician where I wanted based on my results of previous injections and this time I trusted Meredith and her in depth knowledge and let her inject the areas and amount she thought was best. I am so happy I did, my results were wonderful and I had less units than I previously had gotten with another company, which meant I saved money with even better results. I highly recommend Meredith, she is excellent at what she does!" "New Life Aesthetics staff Brittany and Meredith are very professional, knowledgeable and passionate about their jobs. They have always been extremely happy to answer any questions or concerns that I have had. Meredith is skilled at her job as an injector and a true artist. I have never felt "rushed" out of her office and it is refreshing to get a call a few days later to just see how everything is. The staff truly care for their clients and their well-being! They sell Wonderful products for your skin and have many options for everyone&apos;s budget as well. For a great experience, I highly recommend these ladies and New Life Aesthetics! You won&apos;t be sorry:)"
"I would highly recommend Meredith and New Life! She doesn&apos;t try to "sell" products or services and I have never felt pushed into something I wasn&apos;t comfortable about. Meredith makes sure I have a good understanding about products and services and is always completely upfront and honest about all options without false expectations of the results." "Meredith is so friendly and empathetic. Her facility is warm welcoming. I am always confident that I am receiving the best care. Keep up the good work Meredith!" "Meredith is wonderful. Her professionalism and consultations are the very best. Her eye for detail is right on target. Thank you for keeping me youthful and radiant (At least from the neck up) wishing you much success." "Meredith, thank you for your patience, skills and for taking the time to explain things in detail. I would truly recommend Meredith for anyone that may be considering medical / skin care." "Meredith is amazing! I would recommend New Life Aesthetics for the awesome services and products!" "I have followed Meredith Harris for a few years now and she absolutely delivers beautiful results every time." Meredith is the owner and Nurse Practitioner of New Life Aesthetics.